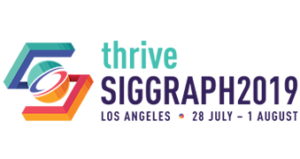 ACM SIGGRAPH will award its 2004 Outstanding Service Award to Judith R. Brown and Steve Cunningham, for their individual and collaborative contributions to SIGGRAPH’s success. Veterans of a variety of posts within ACM SIGGRAPH, Brown and Cunningham worked tirelessly over the years to help SIGGRAPH reach some of its most important milestones. Brown was a charter member of SIGGRAPH’s Education Committee and a principal force in its growth. She helped develop SIGGRAPH’s Strategic Plan, which stressed research, education and globalization as key components for assuring the Special Interest Group’s robust future. Brown also participated in SIGGRAPH’s international outreach to Southern Africa, Australia, New Zealand and Singapore. She has served on the SIGGRAPH Executive Committee as vice chair, director for education, president, and past president. A graduate of the University of Iowa with a BA in Mathematics and Education and an MS in Mathematics, Brown studied at L’Alliance Francaise in Paris. She was a scientific computer programmer at Rockwell Collins Co. and for physicist James Van Allen before becoming a consultant and developer of educational software of the University of Iowa. 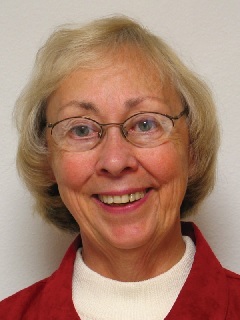 She taught computer graphics at Iowa, and managed its Advanced Research Computing Services before retiring in 2000. Brown co-chaired a track on Visual Learning at the Computer Graphics Education Workshop in China in June 2004, and is co-chair of the SIGGRAPH VRCAI 2004 conference in Singapore. Cunningham is a former chair of SIGGRAPH’s Education Committee, as well as ACM SIGGRAPH Chair and Past Chair. 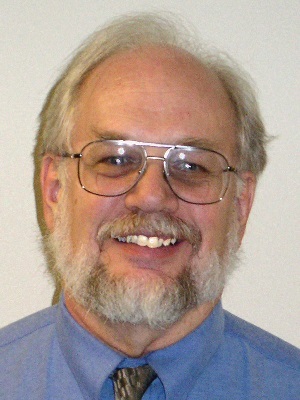 He has been a significant contributor to development of the computer graphics curricula in computer science, and led or developed computer graphics education workshops around the world. He was instrumental in creating an education directory and career handbook for computer graphics professionals. A major contributor to SIGGRAPH’s publications, Cunningham created SIGGRAPH’s first electronic publications and implemented other new publication technologies. He pioneered new publications, including the conference Visual Proceedings, and elevated smaller conference proceedings as mainstream publications. A graduate of Drury College with a BA in mathematics, Cunningham received an MA and PhD in mathematics from the University of Oregon and MS in computer science from Oregon State University. Cunningham has served on the faculty of the University of Kansas, Birmingham-Southern College, and California State University Stanislaus. He was a Visiting Scientist at the San Diego Supercomputing Center and is currently a program director at the National Science Foundation’s Division of Undergraduate Education. The SIGGRAPH Outstanding Service Award is given every other year for outstanding achievement in computer graphics and interactive techniques. Brown and Cunningham will receive their awards at SIGGRAPH 2004, August 8-12, at the Los Angeles Convention Center in Los Angeles, CA.